Join journalism colleagues and top scientists from around the world to learn more about the future of journalism, science and policy in Lausanne, Switzerland from July 1-5, 2019. 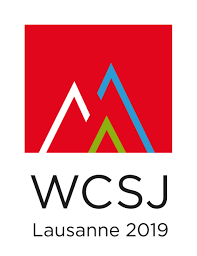 The best place for any reporter, editor or science writer to brush up on their scientific credentials is at the 11th World Conference of Science Journalists (WCSJ2019) in Lausanne, Switzerland from 1-5 July. Top scientists and journalists from around the world will come together for an extravaganza of learning and networking on the campus of the Swiss Federal Institute of Technology (EPFL) and the University of Lausanne. Whether you are a seasoned science journalist or a student interested in science reporting, WCSJ2019 is for you.